It's been a long time coming, but it's finally here. Jarell Perry has finally released his long awaited ‘White’ EP. The past few months have seen Jarell Perry establish himself as a leader in the nu-soul movement. Today, his highly anticipated EP ‘White’, has finally arrived. ‘White’ is a dynamic, complex R&B project that accentuates Jarell’s artfully seductive vocals with ethereal soundscapes and pulsing beats, solidifying Jarell Perry as a major creative force to be reckoned with in 2014. 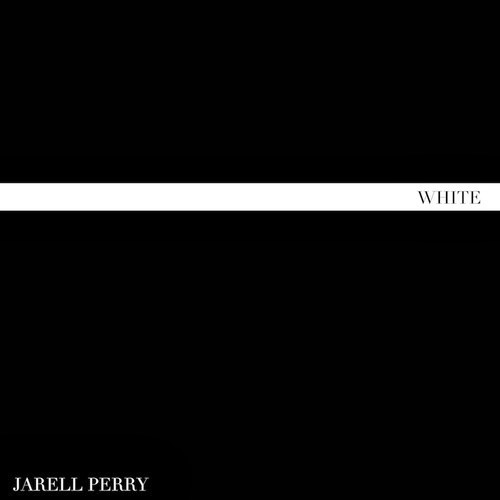 ‘White’, available on all digital formats, puts Jarell’s artistic diversity on full display. The EP leaves no doubt that he is the same artist that won over an international following with his last release, ‘Simple Things’, while still showing the bounds of artistic maturity Jarell has developed since his last record. This latest EP was entirely produced by Jarell’s constant collaborator DJ HSVN, and the creative chemistry from so many hours spent in the studio together is evident and something special to behold. Jarell Perry recently wrapped a winter tour with Yuna, during which his opening set won over every crowd he performed in front of. The word quickly got out regarding Jarell’s prowess as a live performer, and after only a few dates the entire sell-out crowd at each stop were there at doors to make sure they didn’t miss a second of his set. Jarell will be at SXSW, and his appearance is already among the most anticipated of the festival. From there, 2014 will only get bigger for the artist as he has multiple releases planned for the year. Jarell Perry has the talent and charisma to be one of the seminal acts of this new generation of artists carrying the torch of Soul and R&B. Stay tuned for more information on Jarell as ‘White’ makes its way to a much larger audience than Jarell has been previously recognized by.